*Popular application in the automobile. light and flash,to be quickly protection yourself and car for caution the rear area the other automobile driver. *Active light and flash to quickly increase warning signal and quickly protection yourself and car. *To avoid traffic accident again when your car was out of function in the outdoor. 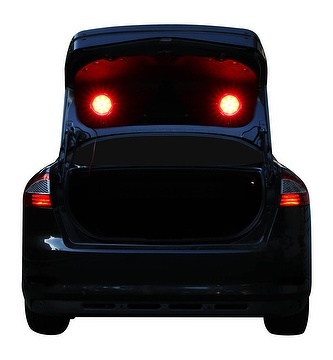 *In outdoor for the moment car stop or move goods from the trunk the warning lights also protection yourself and car. *When it was get ready after installation,unnecessary for any operation. *New idea and a pioneer for vehicle safety lighting application. *Quick delivery around 2~4 weeks. *Now engineer sample only for communication OEM & ODM service.